Dr. Wroblewski (Row-bless-key) was born and raised in Albuquerque. She graduated with honors from the University of New Mexico in 1980 and received her Doctorate of Dental Surgery from Baylor Dental College in Dallas, Texas in 1984. Dr. Wroblewski has stayed true to her professional commitment to provide the highest standard of care for all of her patients throughout her 32 years in practice. Dr. Wroblewski feels that continuing her dental education is critical and has attended many hours of continuing education in order to better serve her dental family. 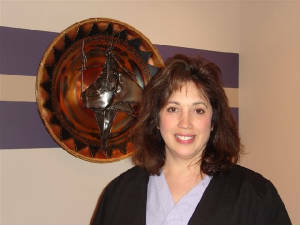 She has attended numerous courses at both the Dawson Center for Advanced Dental Study and the Seattle Institute for Advanced Dental Education. She has belonged to numerous local study groups whose focus is to advance the knowledge and skills of its members. She feels that each patient has the right to have the best dentistry available and all the information they need to make the best choices they can. Dr. Wroblewski is an outstanding dentist with excellent technical skills!